Check out the new links to my Pinterest and the Sundresses and Smiles Facebook page on my sidebar! I'm proud to say that this week I've filled out a few applications to substitute teach at local private schools and have also worked on some of the tasks in my Task Jar--success! On top of all that, I've enjoyed some lovely time with friends and family during the week! For today's post I thought I'd participate in the recent "Tagging" that has been going on here in the blogworld. It's been a while since I've posted some random tidbits about myself and participated in these and after being tagged by 4 other bloggers, I figured I should participate. I'll share the rules, but admit I'm going to tweak them a little bit for myself! So here goes, prepare for a VERY LONG post and to hopefully learn a lot of new things about moi! Hmmm, this is a tough one--I used to always stick to shades of pink and red, but over the summer began to be a little more adventurous (see this post). Now my list includes pinks, red, purples, and grays. Lately I've been loving Essie's Bahama Mama. 2. Best book you've ever read? As I've mentioned before on this blog, it is very hard for me to pick favorites--I tend to like a lot of things for a lot of different reasons. One of my all-time favorites that is a must have read for any and all women is Firefly Lane by Kristin Hannah. It's a beautiful story about the power of women's friendship--to read my review of it, click here! 3. If you could stop time for 1 hour, what would you do? Hmmm, this is tough--I'd probably say read. Reading is one of my absolute favorite things to do and can be such a relaxing escape. I used to be a silver girl and still love it, but now I tend to go for gold more often than not, especially with a lot of my fun jewelry! 5. Your favorite thing in your closet? Again--favorites are tough! One of my favorites that is a go-to in the spring and summer is a silk Banana Republic tunic I've had for 3 or 4 years now. It is just so me in every way and is something I find myself wearing over and over again! 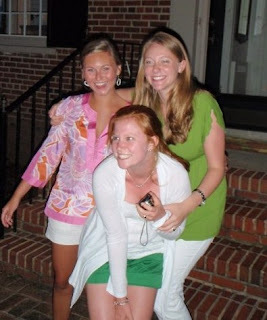 The tunic on a very fun girls night, Summer 2008! 6. What's your favorite song? These favorites are getting me! I'm a tried and true country girl, so that's what I listen to most of the time. My favorite song lately has been "Baggage Claim" by Miranda Lambert. Trey Anastasio in Charlottesville with Bryce. If you've never heard of him, don't feel bad--I hadn't either! He used to be in Phish and Bryce is a huge Phish fan; the music definitely was different than what I normally listen to, but it proved to be a very fun night complete with lots of Glow Sticks and dancing! 8. Do you have a case on your phone? If so, what does it look like? I have not jumped on the smart phone bandwagon and therefore don't have a phone case. I'm hoping that my next phone will be an iPhone though and I will most definitely have a super cute case for it! Eyeliner--I rarely leave the house without it and it definitely is what makes my look. I love Estee Lauder's "Double Wear Stay-in-Place Eye Pencil" and have been using it for years. 10. Is there a show you stop everything to watch? Grey's Anatomy--however if there's something fun going on at 9 pm on a Thursday, I'll watch it On Demand later, hehe! 11. If you could insert yourself into any movie, which would it be? Steel Magnolias--it's an absolute favorite of mine and I would love to be part of such a tight-knit community of Southern women. 1. What is your favorite accessory to shop for? Jewelry, shoes, purses, or other? Most definitely jewelry! I used to rarely shop for jewelry, but in the last year or so, I've gotten really into statement pieces, especially bangle bracelets and big, bold necklaces! 2. What is one city (other than the one that you currently live in) where you would love to live? Charleston, SC--I've never been but know I would absolutely love it. 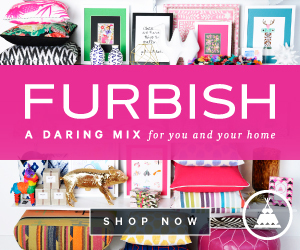 It combines my love of beautiful homes, the ocean, shopping, and the South! To see a guest post of the Top Ten things to do in Charleston click here! 3. What is your all-time favorite book? I mentioned Firefly Lane in the last set of answers, so now I'll share a few of my other favorites: A Walk in the Woods by Bill Bryson, Love You Forever by Robert Munsch, American Wife by Curtis Sittenfeld, Charlotte's Web by E.B. White and Pride and Prejudice by Jane Austen. 4. If you could have an unlimited supply of ONE brand of clothes (as in EVERY item that you wanted from that brand magically appeared in your closet), which brand would you choose? I'd have to say Tibi--I absolutely love Tibi clothes, but they tend to be out of my price range, so I'd definitely love some magic spell to add some gorgeous Tibi duds to my closet! This little number would be perfect for the Fundraising Ball Bryce and I have coming up! 5. Most days, do you dress for comfort or style? I'd say both--I tend to be pretty comfortable in most of my clothes, even the more stylish ones. Hmmm...probably pasta. Macaroni and cheese and buttered noodles are among my favorite foods! For a Mac-N-Cheese recipe I shared, click here! 7. What is your favorite season, and why? Fall--I absolutely love fall: the cool, crisp air; beautiful leaves; Halloween; riding boots; and my birthday all make it my favorite season! 8. What is your least favorite chore? DUSTING, hands down! I hate it--you have to move everything in order to dust and then rearrange it and within days it seems as if the dust is already back! Pink--when you open my closet, pink stands out the most! While going through clothes recently, I noticed that I have 5 different pink cardigans and sometimes I even actively have to try and not buy pink if something I want is offered in multiple colors. 10. Do you like to try new things often, or prefer to stick with what you know and love? I'd say I'm a mix of both. Day to day I tend to stick with things I know and love, but I often also crave new things and like to have random bursts of spontaneity! 11. What is one of your happiest memories? This is really tough--I'd say some of my happiest memories are going out on the Chesapeake Bay with my family as a little girl. Nearly every weekend in the summers we'd head to the Bay and take the boat out, fish for sand shark, explore the lighthouses in the area, and swim. To this day, boating is my favorite thing to do, and I think that is largely due to these fond memories. Still reading? You're halfway there!! 1. What is your middle name or initial? Bennett--I'm named after my mother's godmother! 2. Where do you want to be in your life when you're 60? Hmmm..this is tough. I most definitely want to be married and settled here in Richmond. Hopefully, by then I'll have 3 grown children--maybe some of them will be married and I might even be a grandma! 3. If you could only have one dessert for the rest of your life, what would it be? Gelati Celesti Cookie Dough Ice Cream--BEST Ice Cream ever (it's a mix between gelato and traditional ice cream). 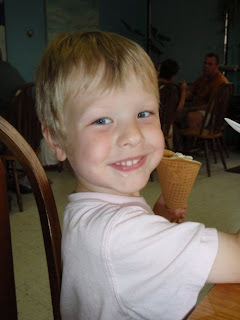 Picture of Cutie B at Gelati Celesti 3 summers ago! The friendships you make, for sure! I never would have expected to make such close relationships with other bloggers when I started this venture, but I certainly am glad I have. I always know that in the blog world, I have a great group of people that will make me laugh, share new and interesting things with me, and also support me. Flats for sure! I'm only 5'3 but I can't stand the pain of heels and probably only wear them 3 or 4 times a year! Not really...I will "knock on wood" occasionally, but am not afraid to open an umbrella inside, ha! 7. Would you rather work at an office or at home? Office for sure--I know at home, I would have a hard time staying on task and I also want to associate home with relaxation and family, not work. 8. What's your lucky number? I don't really have one--if I had to pick I guess I'd say 28, since November 28th is my birthday. 9. Do you tweet? If not, why? No--I know it seems funny, considering I have a blog, but I try not to be "too connected." Facebook, email, and blogging are enough for me! 10. Do you remember your dreams at night? Yes and lately I have been having the most vivid, strange dreams! 11. Are you a momma's girl or daddy's girl? Definitely Daddy's Girl--ever since I was little my dad has called me "his shadow" and we share a really special bond. I'm also very close with my mom too, though, and consider her one of my best friends. DRUMROLL PLEASE....you've made it to the last list of questions! Don't you feel like you know so much more about me? Hehe! 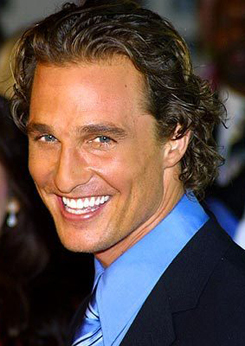 Matthew McConaughey for sure. I think I first fell in love with him when seeing The Wedding Planner in sixth grade! 2. What is your favorite piece of jewelry that you own? This is a tough one. I have lots of pieces of jewelry that are special to me for different reasons. I'd say among of the most special though are my two charm bracelets (see post here). I have lots, but the biggest is probably general rudeness--things like people pulling into a parking spaces that you've patiently been waiting for with your blinker on, snide remarks, and people that feel the need to always compete or one-up others. I mentioned my tunic in the first round of questions, but other go-to's include: skinny jeans with boots, cardigans, and flowy, feminine blouses. 5. What was the last movie you watched? Wednesday night I had a girls' night with some friends--we watched The Help and drank wine! I loved the book and have now seen the movie 4 or 5 times and love it more and more each time! 6. Who is your favorite book character? If you've read this far, you know I have trouble with favorites--one that springs to mind, though is Charlotte from Charlotte's Web...even though I HATE spiders! Favorite Halloween Costume--Pink Power Ranger! I'm not really sure. I do often worry about whether or not I'll be able to have kids. My mom miscarried a few times before having me and I fear facing a similar fate. Probably Nordstrom--their customer service is superb and I love that I can find cute clothes, shoes, lingerie, jewelry, handbags, and make-up all in one place! Richmond, Virginia! I have lived here my whole life and love everything about it (except maybe the humidity in the summer)! 11. 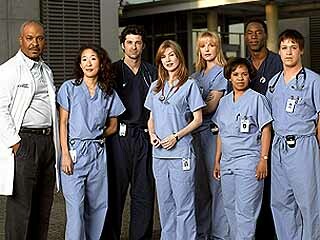 What are your Top 5 favorite TV shows? I've probably seen every episode! Wowee!! That was a lot of questions! Because I'm lazy I'm not coming up with my own questions--y'all can pick your 11 favorites from the 44 I answered! If I didn't tag you and you want to participate, feel free! Let me know when you've posted your answers and I'd love to come read them! What do y'all think? Were you surprised by any of my answers? Do we have anything in common? Oh and don't forget to check out the new Pinterest and Facebook links at the top of my sidebar! My charm bracelet and spending time n the Chesapeake are two of my favorites as well. I work at home most days and LOVE it...once you get in a routine it is heaven! I love the polish and now I'm on a quest to find it! Loved learning more about you. VA is one of my favorite states--so pretty up there. OMG I love the pink Power Ranger outfit!!! So fun! Oh, and... by far the best, longest lasting and timeless colored nailpolish I've found is OPI Malaga Wine. I've been using that on my toes year round for probably 10 years now! These are so fun, and I adore your middle name. Can you believe I got The Help movie for Christmas and haven't gotten a chance to watch it yet? Fingers crossed it happens this weekend. 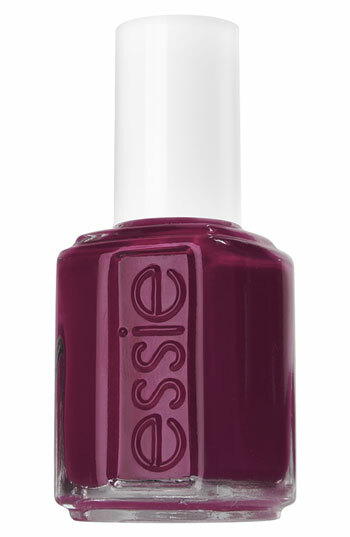 love love LOVE the nail polish color, i might need to get myself some! I also love the Burberry jacket!! xoxo! We are so alike! I loved Richmond, and I can't imagine living anywhere but the South! I'm obsessed with Charleston--it's the most beautiful city, EVER! You HAVE to go soon! Haha when I read that you open your closet and have tons of pink, I had to laugh, because that's me, too! I must have at least 6 pink J. Crew cardigans, all different shades of pink, of course, but still, how many do I need haha? P.S. I'm emailing you about the meetup! Have a wonderful day! I love that BR tunic! What a great buy. 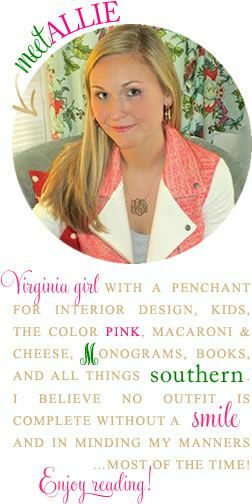 :) I grew up outside of Richmond, and I love VA.
@Miss Southern Prep: errr, you need them all, natch!!! Too much pink = does not compute, haha!! @Sundresses and Smiles: thank you for your advice! It actually sparked a new option, which I think is the best so far: Knot Just Nautical :-) whaddaya say Miss S&S? Loved getting to read all of your answers to so many questions :) Just learned a lot more about ya! You need to get a smartphone so we can facetime please! These post are always so much fun to read! Another blogger talked about fire fly lane and how good it was! I am now putting it on my list of books I want to read! Happy Friday! Too fun! Loved it!!! LOVE that Tunic...I want it. I love your tunic, too. 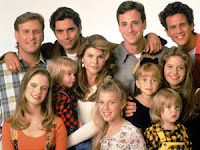 I had forgotten about your love of Full House! Fabulous tunic. I must say...GOOD JOB answering all those questions. It took me a whole day just to do the 11 I had. Have a great weekend! Thanks for the tag darlin!! Firefly Lane is one of my favorite books too. I was a camp counselor on Orcas Island up in the San Juan islands in Washington a few summers ago and I went into the book store on a day off, saw the book, opened it up and sat and read half of it in like 2 hours. Then I spent the next 2 days finishing it while crying. And I love your charm bracelets. Great post!! What a great post! I just wrote down Firefly Lane to download onto my Kindle. I am always looking for a good new book to read. Tibi is my all-time fave brand, too! Hope you're having a great weekend. I had fun playing along! I just posted my answers. I agree about rudeness being a pet peeve. I posted the same answer.. That is one of the things that bothers me the most! I LOVED Firefly Lane! It's definitely one of my favorites too. And I could survive only off of pasta--it's delicious, good choice! Loving your blog :) Now following! I meant to comment on this, not sure what happened. the nail polish color is so cute and I love the name. I'm a gold girl too! I love the pink Power Ranger outfit!!! Thanks for the tag darlin!! Firefly Lane is one of my favorite books too.